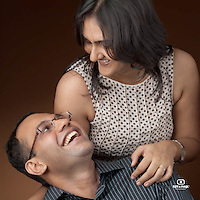 Couples Photography has always been one of the delightful projects for us. 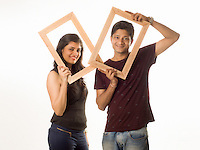 Unlike Individual Photography, where the emphasis is to reflect the personality and moods of an individual person in the photograph, whereas couple photography is about exploring the depth of the relationship shared by the couple. We at light and magic understand that every couple has a story to tell, many special moments to celebrate. Our photographer will talk to you through before you visit the studio and make suggestions of how we can help you create your unique story telling images. We may ask you to bring along some props which represent your character, passions or your relationship. It maybe you like movies, walking on the shore, or trekking, we can be with you. All these things define who you are and help our photographers create images as unique as you are. Each of our images talk about the passion the couple shares in their relationship. If you like our work or have any questions, please take a moment and fill the contact form here.